Suitable : family,friend, group,active travelers.. 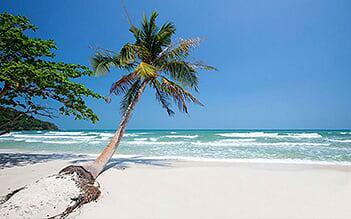 Spending a day to discover Phu Quoc Island is really an enjoyable trip. 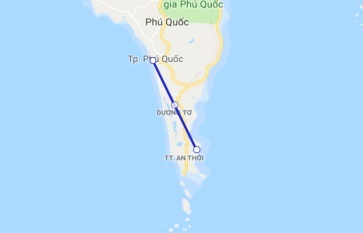 With Phu Quoc Adventure Boat tour, you take part in exciting activities : snorkeling, swimming & visit the islands, and join an interesting itinerary. Pickup at hotel and start the tour (pickup time from 11.30 - 12.30 subject to guest's location, surcharge for far pickup). 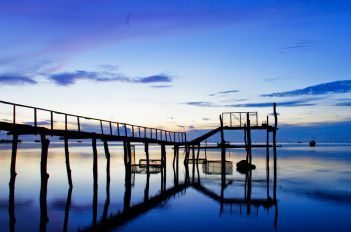 - Visit Pearl Farm of the island, introduction of oysters harvest – pearls process and fine jewelry designing. 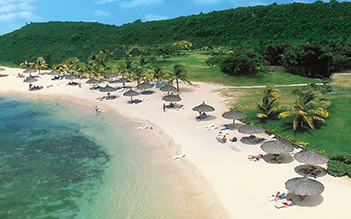 - Stop at Sao Beach – wellknown for its white sand and the turquoise sea water. Leisure time to explore, unwind, swimming and enjoy lunch at local restaurant. - 17.30: enjoy the spectacular sunset view and the best time to enjoy fishing when fishes come to surface. 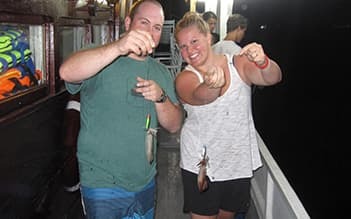 - After the sun has disappeared, we have another opportunity to experience night squid fishing. - 18.30 it is dinner time: our crew has prepare a delicious local fishermen meal (squid porridge). Enjoy dinner on board together before heading back to the pier. Get on the vehicle and drive to the hotel. 21:00 Drop off your hotel. 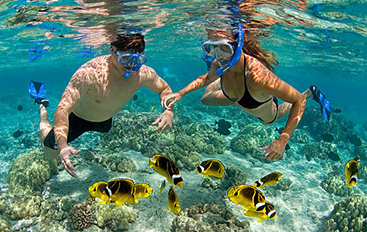 My wife and I loved our snorkelling trip. We visited two islands, the first of which 'Finger nail island' was not great as there was some litter in the sea. 'Turtle island' was much nicer although I'm not sure turtles have ever been there. The trip on the boat was very good and the boat is great for relaxing. Lunch on board was nice. We enjoyed a day in the south starting from the busy harbor. 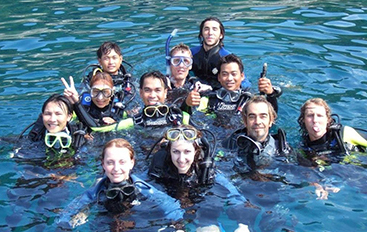 The whole trip was very nice, the diving equipment was in very good condition and the diving group was very small. The view was unfortunately not optimal. All in all, it was very well organized, there was a large board on the dive boat and the prices are fair. We would love to go diving with you again. Good dive, good live! It was a perfect day! Two fun dives, including lunch on board north of phu quock. 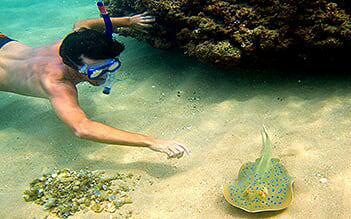 Fair price, good equipment, professional divemaster Thanks to the team!